We’d love your help. 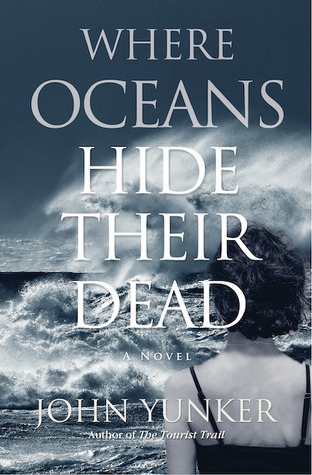 Let us know what’s wrong with this preview of Where Oceans Hide Their Dead by John Yunker. To ask other readers questions about Where Oceans Hide Their Dead, please sign up. Our three main characters are Robert, Tracy and Amy. Robert is our link to the previous book; without wanting to spoil The Tourist Trail all I'll say is that he is now in Namibia, and is still motivated by the love he has for an animal rights activist named Noa. The Tourist Trail featured animal advocates and activists who fiercely protected penguins and whales; here, in Oceans, we have activists protecting seals. I suppose one doesn't necessarily have to read The Tourist Trail before tackling Oceans, as most of the characters are new, but I highly recommend the book! What I like about the characters is that each one is on a different journey. Robert wants answers, Tracy wants redemption, and Amy wants self-growth. Like The Tourist Trail, Where Oceans Hide Their Dead follows these three characters until they inevitably connect with each other. For those who didn't read The Tourist Trail, Robert is a federal agent who had gone undercover as an animal rights activist and infiltrated a group called the Cetacean Defense Alliance. But the problem was that Robert found himself identifying with the group's cause; and even more problematic, he found himself falling in love with one of them named Noa. "These people have different priorities, putting animals ahead of humans. That's what Gordon [his former boss] had said: These people. As if they were another species altogether. [...] And now he is trying again. Placing animals ahead of people, placing Noa ahead of everything, to become, with a lot of persistence and a little luck, one of these people." Robert finds himself, once again, passionate about the animal rights cause. So much so that he has a violent confrontation with one of the men culling seals. The plot twists and turns to bring Robert from Africa to Australia on a new mission he's not in a position to turn down: Find an animal rights activist named Neil Cameron. Neil is recently out of prison and is the son of Aeneas, a major character from the previous novel. Neil is also our connection to Tracy and Amy, the other two main characters in Where Oceans Hide Their Dead. Tracy is in Iowa City working in hospice, and trying to forgive herself for her involvement in sending Neil to prison. Like Robert, Tracy is also grieving and lamenting about the past. Her story is told through flashbacks, which kept me interested and wanting to know more about her history with Neil and a slimy character named Ray. Amy is a solo traveler, blogging her way through various countries, and not really missing her fiancee back home in St. Louis. In Australia, Amy happens to connect with Neil, and the two form a relationship. How the three - Robert, Amy and Tracy - ultimately intertwine is for the reader to find out. I found the story to be well-paced overall, and the switching of the point-of-view with three very different characters was a good device to create tension and mystery. [W]henever she closed her eyes, she saw animals - cows packed together in stifling barns, chickens in cages too small to fathom, their beaks cut short, struggling to peck at the imaginary seeds at their feet, acting out their natural lives as best the could. But for readers who aren't vegan, you don't need to worry about any proselytizing of veganism. For example, the character of Amy is not vegan, so her journey with Neil was interesting to follow as she is thrust into the world of animal rights. I felt the same way when I read The Tourist Trail: The animal rights and vegan message was tastefully done, and I thought it came up naturally in the story's dialogue. "I thought they were 'only' animals and after all, I'd already seen humans die in front of me. But that's all crap. Suffering is suffering. Death is death. And we're all animals in the end." The ecological issues in the novel would appeal to those who care about animals and the environment; Where Oceans Hide Their Dead deals with the issue of seal culling and also secret information from a biotech company. In eco-thrillers, nature is not the enemy, and we see that here. This novel will hopefully raise awareness for animal suffering and the environmental harm of companies that will stop at nothing for profit. It's clear that author John Yunker has done a lot of research for these novels; I learned a lot in both The Tourist Trail and Where Oceans Hide Their Dead about their respective animal welfare issues. "I have to remind myself that some social movements are more glacial than others." Will update with my official review once it's live on my blog! John Yunker is a writer of plays, short stories and novels focused on human/animal relationships. He is co-founder of Ashland Creek Press, a vegan-owned publisher devoted to environmental and animal rights literature. He is author of the novel The Tourist Trail and the forthcoming novel Where Oceans Hide Their Dead. His full-length play Meat the Parents was a finalist at the Centre Stage New Play Fe John Yunker is a writer of plays, short stories and novels focused on human/animal relationships.